If you’re an indoor hydroponic grower, you know just how expensive your hydroponics garden can get due to the need to keep air conditioning, humidifiers, grow lights, etc. running. Why not start an outdoor hydroponic garden instead? Outdoor hydroponics gives you the perfect balance of nutrients and water, and in the summer when there is sufficient sunlight, your plants will grow much better and faster than in soil gardens. Not only will your plants grow faster and healthier in a soil-less outdoor hydroponic system, but you will not need to weed them, or deal with insects which can decimate your plants. If you’re not sure where to begin, here are some basic guidelines to make sure your outdoor grow box gets off on the right foot. 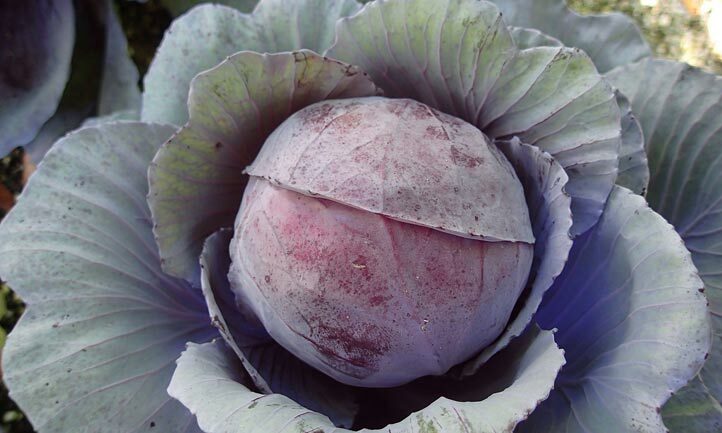 An extremely gorgeous head of red cabbage grown outdoors hydroponically. Source: square foot hydroponics. One of the primary benefits to growing outdoors hydroponically is the free lighting you get from the sun. Summer sunlight is much better than any grow lamp or artificial light source. In fact, the sun is basically the “outdoor hydroponic grow light” of the universe, so make sure you take advantage of it! If possible, choose a spot with southern exposure that’s properly sheltered to build your hydroponic system. You can use a tool like Suncalc to determine how the sun travels over your property. By doing this, you’ll be amazed at the speed at which your plants grow when given all of the sun they need. When you grow plants outdoors, they’ll use up more water than when grown indoors because it evaporates faster. This is why you need to make sure that your hydroponic water reservoir stays cool throughout the summer. Add frozen bottles of water during high-heat days to keep it cool. 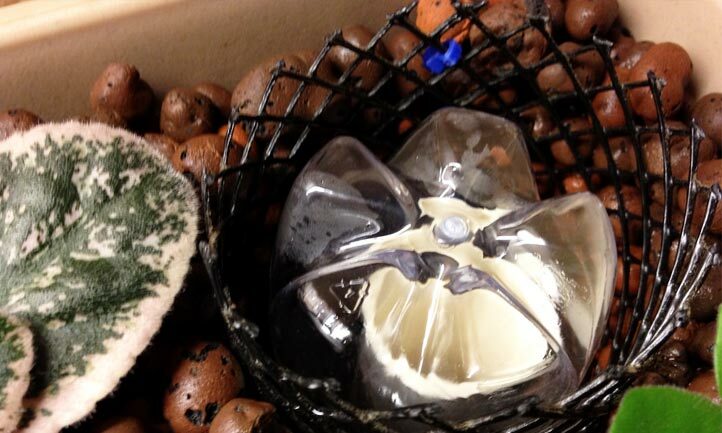 Never leave your reservoir empty, because it can be fatal for your plants’ roots. To avoid this, you can set a float valve up that will trigger when low water levels are detected, and pour fresh nutrient solution in directly. When it’s hot outdoors, you should lower the EC of your nutrient solution because your plants will need more water in the summer days. Lowering the nutrients will make the absorption of water easier. Curious about EC? Watch my full video explaning all the confusing terminology around hydroponic nutrients. When the plants are in a vegetative growth phase, you should set your EC to low-to-medium, because medium-to-high will restrict this growth. When the plants are flowering and fruiting you may need to lower the EC if you notice any browning of the leaves to avoid nutrient burn. In the first days of the summer, it is a good idea to add some liquid kelp and humic acid to the nutrient solution for your hydroponic garden. This will help improve the tolerance of the plants to excessive heat and will help prepare them for the scorching hot summer days ahead. Use a ratio of 5:2 of humic acid to kelp. This ratio helps stimulate the growth of the roots and the root mass which is essential for absorbing more water during hot days. This combination of extra nutrients will also strengthen your plants and help them protect themselves from cell damage due to stress from too much heat and too much direct UV light. 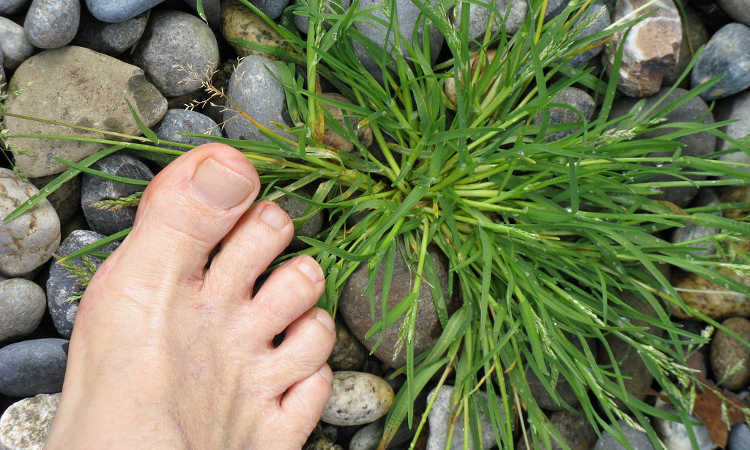 Remember to take these steps preventatively in late spring before the actual stress on the plants occurs if you want them to be successful and to keep your garden safe and thriving during the summer. Apart from the free direct sunshine, another major advantage of an outdoor hydroponics garden is the natural breeze. This type of air movement helps keep the leave pores (called stomata) open. This ensures that sufficient amounts of carbon dioxide are absorbed and that the evaporating water and oxygen are released in a timely and proper manner. A nice breeze will also remove any vapor from the leaves of your plants and will help keep them cool in the hottest days. Keep in mind that too much wind can have the opposite effect. It will cause the plants to close their stomata in order to hold the water in. This is why, when you are choosing the perfect spot for your outdoor hydroponics garden, make sure that it does have good air movement but also some sort of wind protection. No matter what you do, chances are if you choose to grow your plants outdoors you will need to deal with pests and animals too. The best advice to keep the damage to your hydroponics garden at a minimum level is to grow a few extra plants around it and hope that they will attack them instead. If you don’t like the idea of critters and animals munching on any of your plants, then you can use some specialized detergents, or natural pest sprays and insecticidal soaps to fight off insects and small animals. 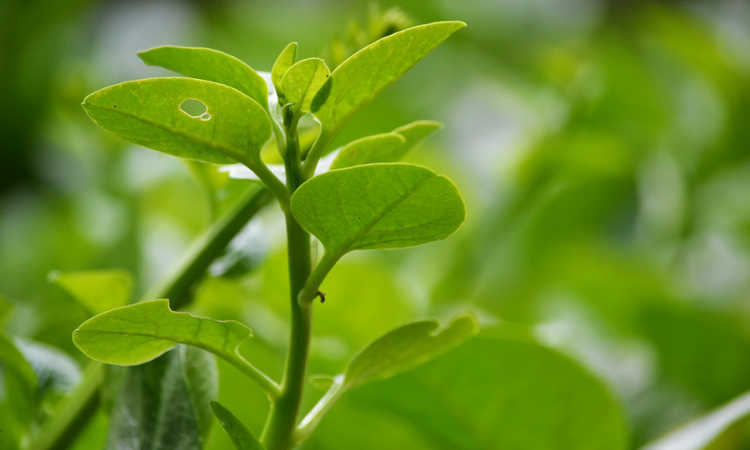 In order to keep your plants safe from pests, you need to ensure that they are as healthy and strong as possible. 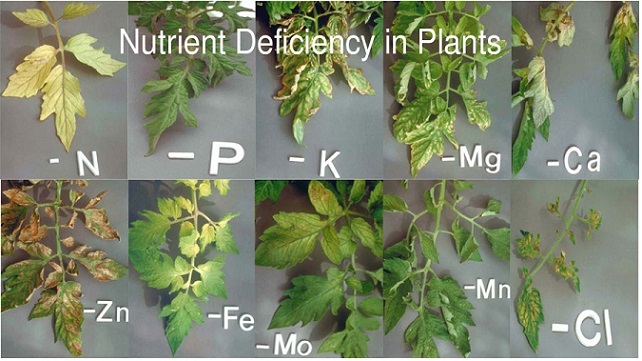 This is why you should use all-purpose, full-spectrum fertilizers with high potassium to nitrogen ratio. If you overdo it with the nitrate nitrogen, this can cause the weakening of your plants which will make them more susceptible to fungi and insect damage. You can also increase the calcium intake which also helps stimulate the strengthening of the plant cells and makes them more resistant to high or low temperatures as well. Remember that the healthier your plants are, the tastier they will be, and the more vitamins and nutrients they will provide. You will also be amazed at the bright and healthy colors of the plants, flowers, and fruits in your outdoor hydroponics garden. Even though all types of hydroponic systems can be used outdoors, try to choose a top feed, aeroponic, or flood and drain system. 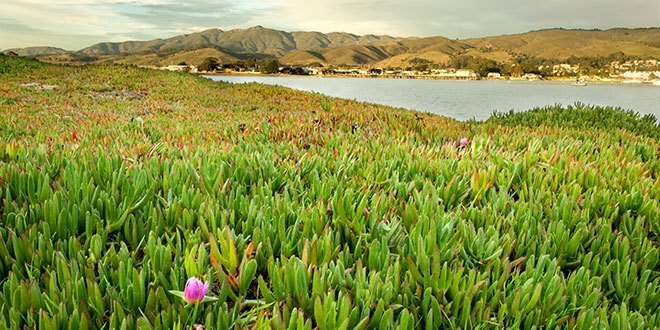 Stay away from a deep water culture system because of the temperature fluctuations outdoors which cannot be controlled and may cause damage to the plants. It is a good idea to line the water reservoir and the hydroponic system with an insulating, reflective material to protect the roots, the water, and the components from excessive exposure to direct sunlight, and from fluctuations in the temperature. Also, keep in mind that your plants will grow much faster and bigger outdoors, so you will need to provide more nutrients and water in a timely manner if you choose to build an outdoor hydroponics garden. The three main hydroponic systems which are commonly used for outdoor gardening are the vertical, simplified and aquaponics systems. 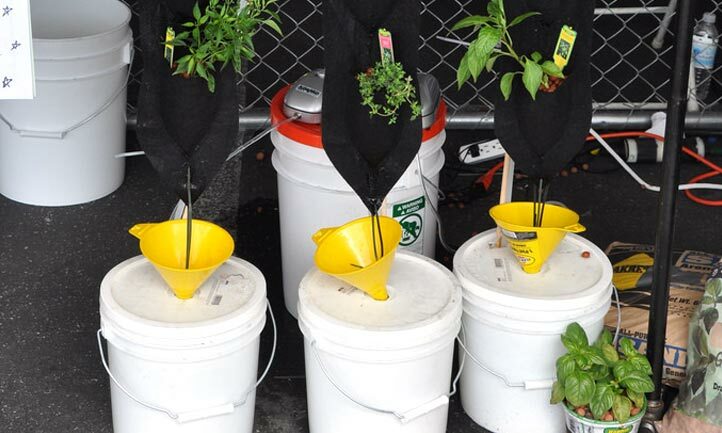 3 vertical 5 gallon bucket hydroponic systems make efficient use of space. Source: k.mackay. These are set up vertically, as the name suggests and as such save a lot of space due to their smaller footprint on the ground. This type of system will allow for the growth of more plants than you would if you place them horizontally in your garden area. This type of system is very common for rooftop gardens and for other limited spaces. 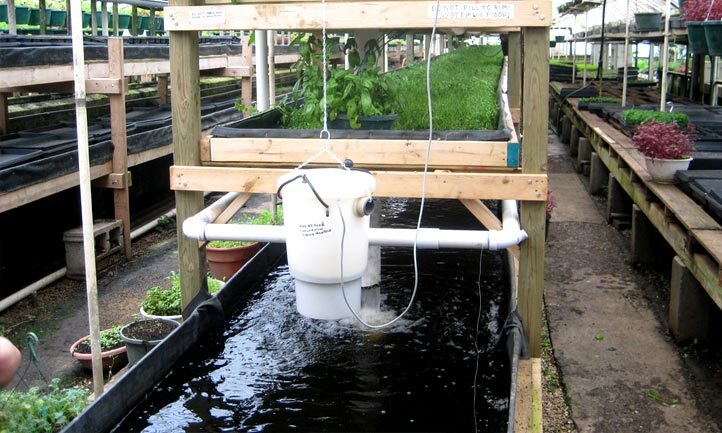 Growing Power in Milwaukee uses aquaponics for impressive outdoor yields. Source: grifray. These are a combination of hydroponic gardening and fish farming. Systems like these use the fish waste for plant food. Obviously, the biggest advantage of such an outdoor system is the fact that you are producing more food – fish and edible plants. Also, the fact that the plants feed on the waste produced by the fish decreases the need for additional fertilization, and if set up perfectly can eliminate this need altogether. These systems are popular in developing countries and include soil-less gardening without the use of any mechanical equipment. Instead, the circulation and aeration of the garden are done manually. The most common simplified hydroponics systems are the flood and drain and the floating bed systems. Bell siphon in use in this outdoor hydroponic propagation garden. Source: Geek2Nurse. The flood and drain hydroponics system includes watering once or twice daily, and then reusing the drained water and nutrients. The floating bed system requires manual aeration via stirring the water twice or three times daily. This system though is more susceptible to fluctuations in the temperature, so if you live in an area where such fluctuations are common, it should be avoided. Scientists around the world are seriously considering the implementation of hydroponics gardening in poverty-stricken countries, where there is lack of food due to the lack of water and nutrients necessary for the natural growth of edible plants. A hydroponics garden also eliminates the need of a cleared land and the need for using traditional pesticides, herbicides, and insecticides. In fact, an outdoor hydroponics garden requires about 10% of the water which a traditional garden will require. This means that you will use 10 times less water for the production of more food with such a garden. A huge benefit of an outdoor hydroponics garden is the fact that it can grow food about three to four times faster than traditional gardening can. In the soil vs. hydroponics debate, this is one of the major points for the hydroponics side. This type of gardening can help grow vegetables or fruits in urban areas where there are limited possibilities for traditional agriculture and gardening. Outdoor hydroponic gardens have another benefit of being so customizable to any area, location or application. You can hang, stack or set up your hydroponic garden horizontally or vertically deepening on your preferences and on the space you have available. The main disadvantage of starting up an outdoor hydroponic garden is the substantial initial cost for the equipment. This is especially true for larger automated systems which require additional sensors, controllers, pumps and other equipment. On the other hand, the more automation a garden has the less manual labor it requires. Another disadvantage is the inability to completely control nature. Unlike indoor systems where you can control the light, temperature, and humidity completely, outdoors this is not quite possible. This is why it is advisable to invest in UV protected containers and hydroponic components which can withstand strong direct sunlight. Also, extreme temperatures can hinder the growth of the plants, which is why constant adjustments to your outdoor hydroponics garden need to be made and the conditions need to be monitored closely for optimal results. Last but not least, in traditional winter conditions, you cannot grow your plants outdoors be it with a hydroponics system or traditional gardening. Not only is outdoor hydroponic gardening an excellent hobby which you can enjoy while as growing your own healthy veggies and fruits, but this type of growing can be the perfect solution for poverty-stricken nations and areas where people are facing starvation due to lack of water and agricultural lands. This makes this type of outdoor plant growing an extremely important staple which can actually save people from starvation and can provide self-sufficiency to entire communities. By using natural sunlight, you ensure that your vegetables and fruits will grow much faster and tastier without the added costs for indoor lighting as well as for temperature and humidity control. You can also ensure that your outdoor space, backyard, patio or other looks much better with your own personal hydroponics garden set up on it. Once you get all the elements of your outdoor hydroponics garden set up, you can sit back and enjoy the fruits of your efforts and labor, as well as the beauty of your own home garden. 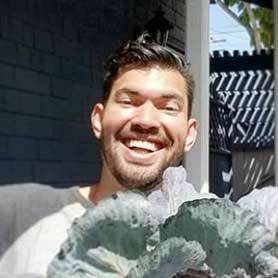 Danny is the community manager at GrowAce.com. This is a place you can buy anything for your indoor garden.